City Parks Foundation welcomes all New Yorkers, 60 and over, to participate in City Parks Seniors Fitness. The Fall 2011 season of Seniors Fitness programs will begin the week of September 19, 2011, and will offer free tennis lessons, yoga instruction and fitness walking in 16 parks across the city. All activities in this eight-week fitness program take place twice a week at each location through October 28th. Participants are encouraged to maintain regular attendance to maximize health benefits. City Parks Seniors Fitness has served over 3,400 participants since it began in 2006 and aims to keep neighborhood parks a great place for community activity. The program encourages New Yorkers to maximize the health benefits of staying active at all ages. Even in moderate amounts, exercise can help participants feel better,maintain or lose weight, reduce risk of heart disease and diabetes, and minimize the symptoms of arthritis. For more information about City Parks Foundation’s free Seniors Fitness programs, please call the Sports Department at (718) 760-6999. All equipment and instruction is provided free of charge. Sessions are one hour, twice a week. Jenny Saldaña is a breast cancer survivor who was diagnosed on January 4th, 2006. 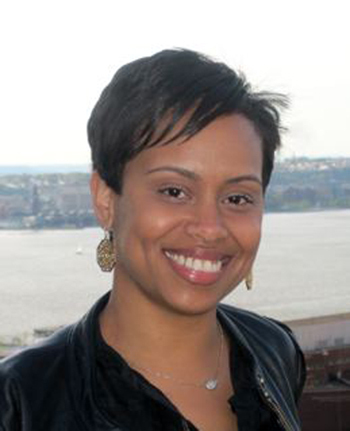 She now works with the Latino community as Women At Risk’s Community Program and Outreach Coordinator at New York Presbyterian Hospital. I was introduced to Jenny 3 years ago by my Breast Surgeon, Sheldon Feldman, MD, after she performed a segment from “Pink: The Chronicles of BC Jenny” at a breast cancer symposium I attended the day after receiving my own diagnosis. My head spun as the Physicians spoke in their scientific lingo which I hardly understood. That day Jenny sat with me held my hand, cried and laughed with me and has never let it go. It is truly an honor to sit down with my dear friend Jenny and let our audience into the heart and mind of an extraordinary woman. Q. Your play Pink: The Chronicles of BC Jenny will be taking place this Thursday night at Columbia University Medical Center where you work as a Patient Navigator in the Department of Breast Surgery. You’ve toured the country doing this show. How does it make you feel to do this in the neighborhood you serve? A. I feel so blessed to finally have a chance to bring my show to the Heights. I am a little nervous that so many people who treated me during my cancer journey and now work with will be watching! Q. Without giving away too much from the play, can you tell me a little bit about your life before your breast cancer diagnosis? A. I was a corporate drone! I have a degree in theatre, but I really wasn’t acting or writing because I got all caught up in the 9-5. Cancer helped me get back to my craft, and helped me help others. Q. I know from personal experience how I felt receiving the devastating diagnosis. I thought this was something that only affected older women or those with a family history. How did you feel receiving that news? A. Like you, I thought that only older women got breast cancer so when I heard the news I thought I was going to die. I thought I’d never have a normal life ever again. Q. At the time of your diagnosis you were not even eligible for a mammogram because you were too young. Do you feel there are unique issues young survivors face as compared to our older counterparts? A. There are SO many issues that younger survivors have to deal with that older women just don’t have to deal with. Just the fact that younger women will be ‘survivors’ longer that their older counterparts. There are dating, fertility, and body issues too. I wish there was better screening for women under 40 but the truth is that the more exposure you get to radiation the higher your risks of getting cancer so we shouldn’t really be getting anything done unless there is a concern until there is something specifically for us. In the age of instant gratification, many opt for takeout or highly processed food that minimizes cooking times and effort. I hate to break it to you but nothing comes without a price. A recent study showed that a third of our food is eaten outside the home. Such foods are high in sugar, sodium and calories. To add insult to injury, restaurants generally use low quality ingredients and proudly post “A” grades, even when they fail inspections due to a loophole in the process. Cooking is an art, an expression of love and a way to socialize with those who mean the most to you. But did you know you that food could be used to heal or prevent disease? Is it possible that health-supportive food could also be delicious? As a way to answer this question and to enhance my culinary skills, I enrolled in the annual intensive cooking course at The Natural Gourmet Institute for Food and Health. There were students from all over the world including Australia, Brazil, Mexico, and Germany as well as other states such as California, Chicago, Arizona and New Orleans. There were entrepreneurs, aspiring food writers, and others like myself who were using food to heal their illnesses and teaching others to do the same. One student, Rosella Rago, has her own cooking show, “Cooking with Nonna” and recently won Food Network’s 24-hour Restaurant Battle. The Chef’s assistants were also a force to be reckoned with. They worked non-stop and were also looking to perfect their skills including Tatiana A. Peterson, President of “In Your Face Brownies”. Every one of us had a story and added value to the experience. 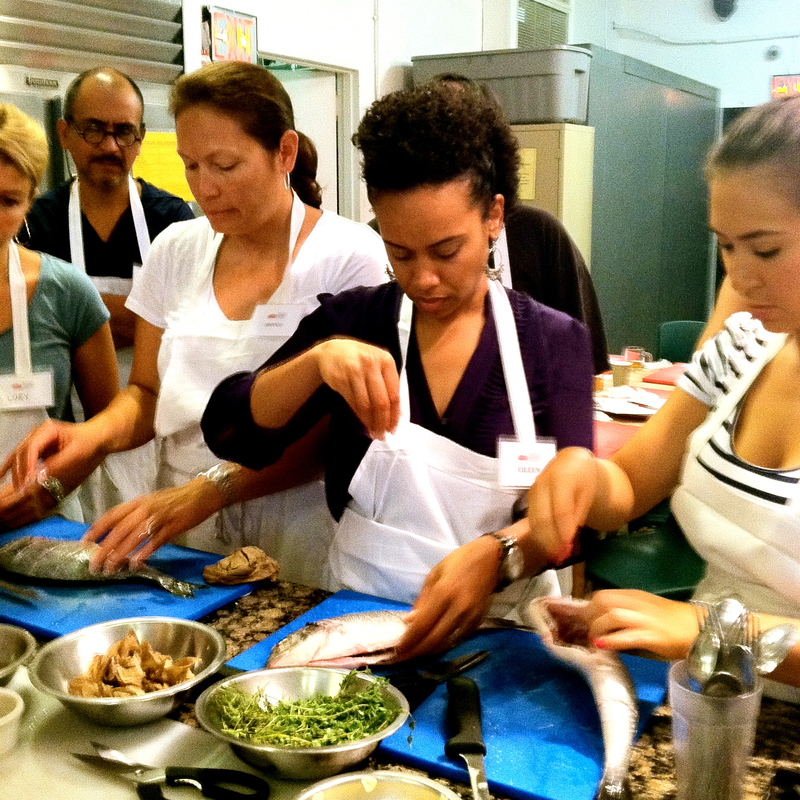 The aim of this course was to teach us the basic fundamentals of healthy cooking. I learned how to plan a balanced menu, improve my knife skills, and how to use kitchen equipment and supplies. We cooked with high quality ingredients including whole grains, beans, fruits, vegetables, seaweed, tofu, tempeh, organic eggs, seitan, fish, herbs and spices. We also used good fats like extra virgin olive and refined coconut oils as well as sugar alternatives like maple syrup. All the produce was seasonal and most were local as well. Not only is Eileen Z. Fuentes the Uptown Collective’s wellness contributor, she is also, more importantly, my wife and the mother of my 3 daughters. I have seen this woman go from a heartbreaking triple-negative breast cancer diagnosis at the age of 34 to the subsequent surgeries and chemotherapy treatment, to deciding that cancer would not defeat her. Eileen made it her life’s mission to help other women with their cancer journeys by starting the very first Women’s Wellness Series right here at the Columbia University Medical Center. See below for the link to an inspiring and informative piece on how Eileen turned her tragedy, trials and tribulations into triumph. Happy Summer Uptown! For those unfamiliar with my SOUL food series, please note that it stands for: Seasonal, Organic, Unprocessed and Local! When we are on a quest for good health, it isn’t always easy. There are so many obstacles in our path. However, the summertime is precisely that time when fruits that we enjoy are readily available and cheap. Berries of all kinds; strawberries, blueberries, raspberries, blackberries, cranberries, cherries, etc… are everywhere! Plus they are easy to prepare. Most require a simple rinse and VOILA, you have yourself a nutritious snack. There are many benefits to eating a diet rich in berries. It is a powerful antioxidant and has been shown to reduce your risk of several types of cancers. Cranberries and blueberries contain a substance that may prevent bladder infections. And blueberries and raspberries contain lutein, which is important for healthy vision. Even though they are enticing, you should avoid the conventional variety as they are highly sprayed with pesticides, which has been shown to cause lasting damage to your health, particularly during fetal development and the early childhood years. 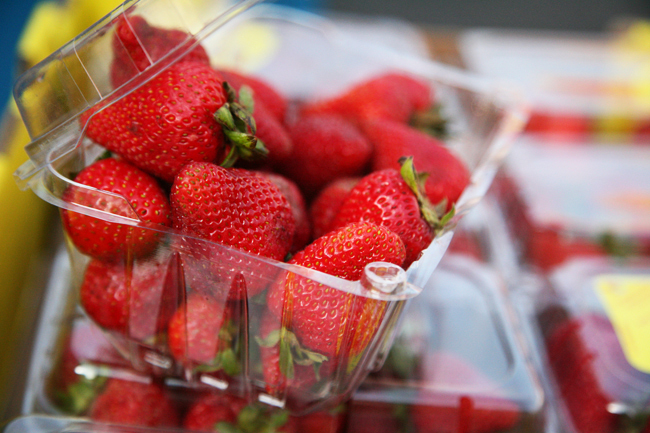 Late Spring/Early Summer is the season for berries so most markets will carry them. My advice to you is to go to your local farm for the best selection. If you don’t know where to find one, visit localharvest.org and search by zip code. I have also listed the information below for the farmers markets in the area. * Isham St. bet Seaman Ave & Cooper St.: Open Saturdays, year-round 8:00 a.m. – 3:00 p.m.
Last year I just missed joining the local CSA (Community Supported Agriculture) chapter in Washington Heights so I was excited when Sara Martinez, my friend and fellow UC contributor, mentioned that she had joined and that there were still more spots available. So what is a CSA? And what are the benefits? Well, they offer a way for consumers to buy local, seasonal, and in our case, organic produce directly from the farm. This guarantees that I would get my SOUL (Seasonal, Organic, Unprocessed and Local) food fix regularly. 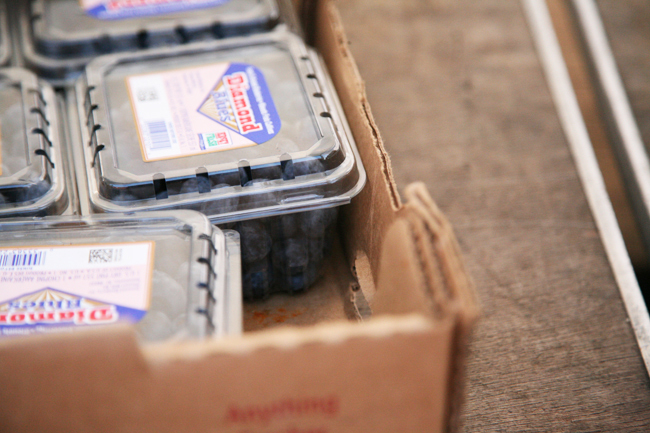 As members, we pick up our fresh vegetable, fruit and egg shares on a weekly basis. We commit to volunteer just a couple of hours of our time in a 5-month period and occasionally meet as a group. 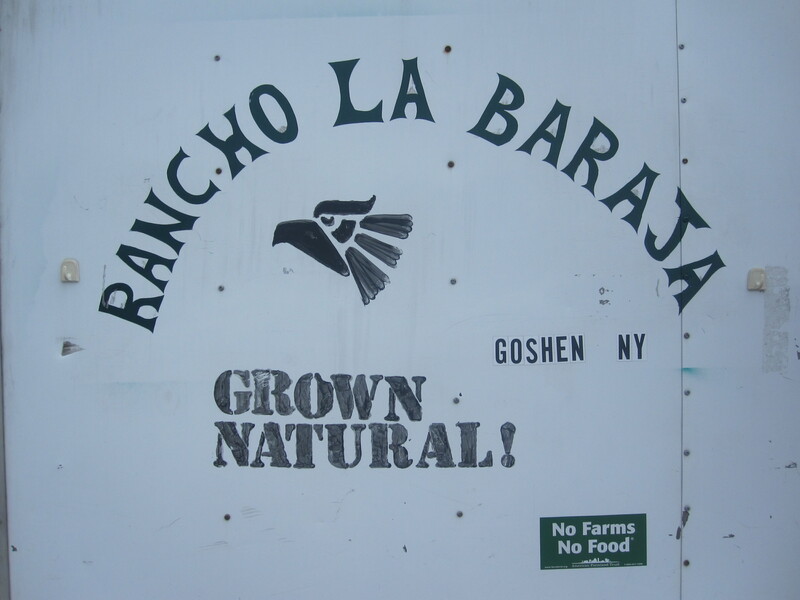 This weekend, as part of our membership, we went upstate to visit the La Baraja Farm, where our food comes from, to meet the farmer and his family. Waking up and getting my 3 young daughters ready early on a Saturday morning was no fun venture. When we arrived, a little over an hour later, five smiling faces greeted us. One swept while the others sat around a table talking. Upon arrival, my kids ran right out of the minivan and straight into a homemade wooden playhouse. 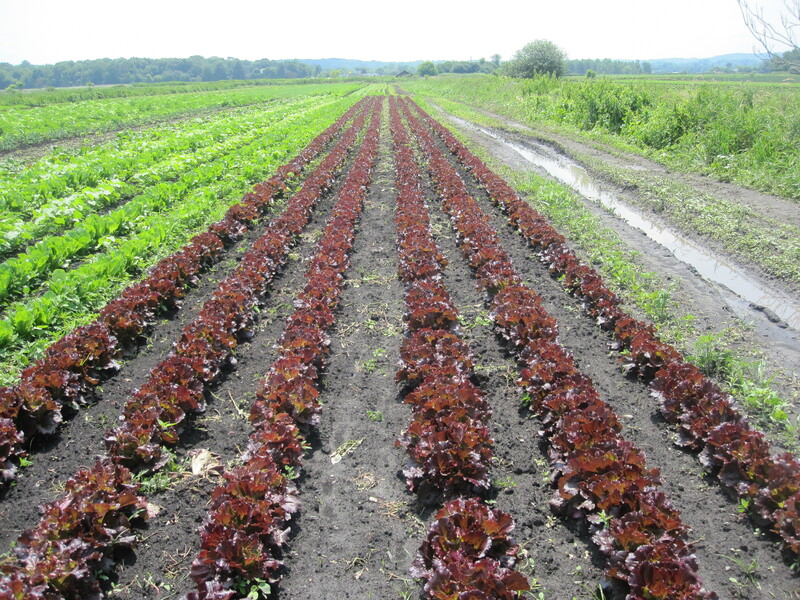 I was in awe as I looked at the green pastures with rows and rows of vegetables. It was breathtaking! 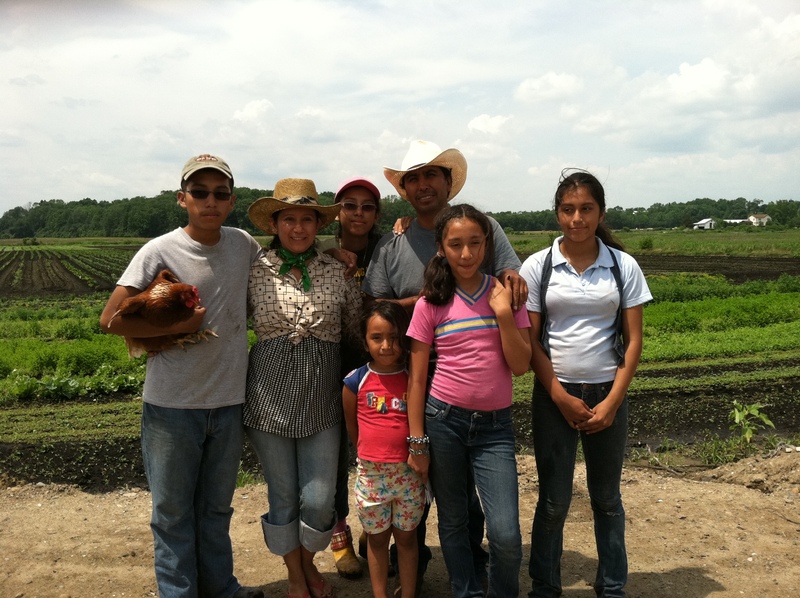 Soon after Pedro, the farmer and his wife Maritza arrived with some groceries. After settling in, they divided us into groups and the older kids led us on a tour. Our guide, Cynthia looking much younger than 17, was accompanied by her adorable 6-year-old sister. Together they took us on a journey, pointing out various types of vegetables and herbs including: lettuce, Swiss chard, scallions, onions, garlic, eggplant, corn, sweet peas, summer squash, carrots, cilantro, lemongrass, mint, parsley, and chamomile. I was amazed at how much she knew about everything! Along the way she pulled some items right from the ground and let the kids have a taste. While they didn’t like everything they tasted, they were excited to try it. The papaya encompasses many of the qualities that I look for when shopping for produce. It’s currently in season, it is not highly sprayed with pesticides, and it’s still in its natural state. And while it isn’t locally grown, this fruit is readily available and familiar to many of the residents in the Washington Heights and Inwood Community. Papaya originated in Mexico and Central America but is now present in every tropical country. Christopher Columbus called papayas “the fruit of the angels” and while there’s controversy about whether or not he really discovered America, he certainly was on to something here. Papayas are loaded with nutrients including Vitamins A, E, C, and K. It’s a great source of fiber, lycopene, and potassium. It is beneficial for both the cardiovascular and immune systems. Many (me included) use it to ease digestion issues and constipation and recently I read how effective it is for wounds that won’t heal and eczema when rubbed directly on the skin. All this and they’re low in calories! Many of the local street vendors, bodegas, and supermarkets sell them cut in half and wrapped in plastic so that you can see and touch before purchasing. But if they are not, you can select those that have reddish-orange skin and are slightly soft to the touch. Don’t be afraid of a couple of dark spots. They won’t affect the taste. You should avoid those that are green and have a hard consistency, as they are probably not ripe yet. Once you do buy them it’s best to refrigerate them immediately and eat them within a couple of days. They can be added to a salad or blended with other fruits to make a simple smoothie. I like to just cut them up, remove the seeds and pair them with nuts for an afternoon snack. It’s the perfect balance of sweet, crunchy, juicy and refreshing after my lunch hour power walk. Before you throw out the seeds, note that they are edible too. Their peppery flavor is perfect when blended with other ingredients to make a yummy salad dressing. There are loads of papaya supplements on the market but it is always best to go with fresh especially when it’s everywhere in your neighborhood.